Maggie and Gray’s wedding was a rare event where Amanda and I didn’t shoot together. 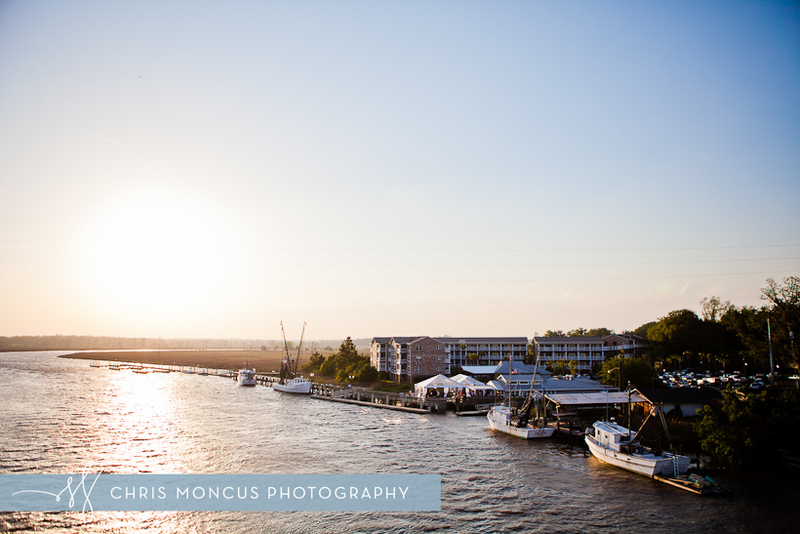 Amanda was back on St. Simons Island lead photographing a different wedding. Instead, I was assisted by my buddy/corporate photographer Eliot Van Otteren. He’s an excellent second shooter because of his background in journalism and architecture. Some of the images on that wedding’s post are his. One outstanding image that he shot at my request involved a pretty good hike up a block to the main road, down couple blocks to Highway 17, and then a pretty good walk to a bridge. Just to get one shot. But it’s a great one! He made similar hikes several other times from different locations, and this one again at night. I have the best assistants and second shooters. 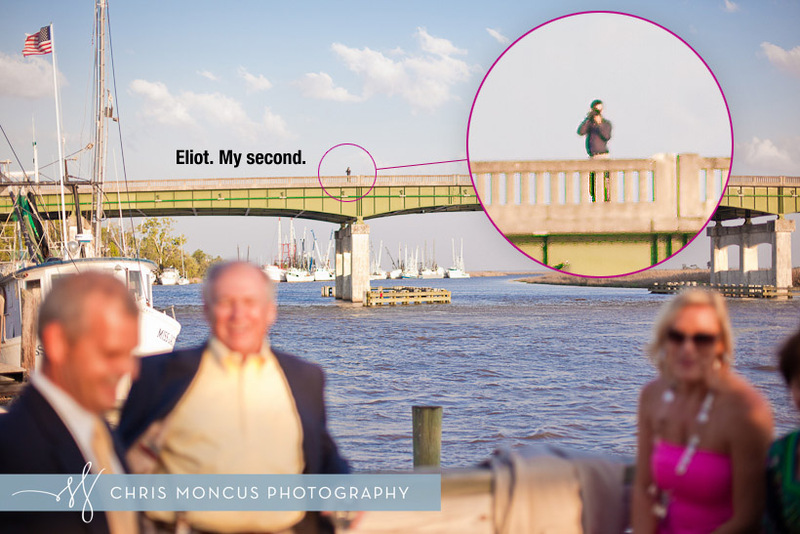 Thanks, Eliot, for helping me give Maggie and Gray amazing wedding photos! I had a blast! Thanks for inviting me to be a part of that special day for Maggie and Gray.